We were up in the Klahanie neighborhood of Issaquah tonight, and our friend Melissa took us on a tour of the neighborhood Christmas lights. One place had a sign to tune in to an FM radio station, and the lights on the house flashed along with the music! Simply awesome. 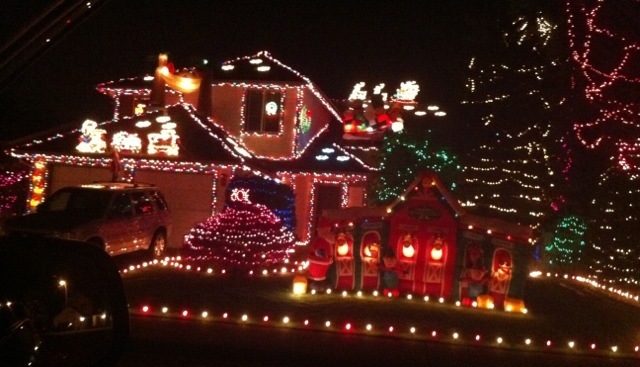 Here’s a way overdone house as well, imagine this guy’s power bill!